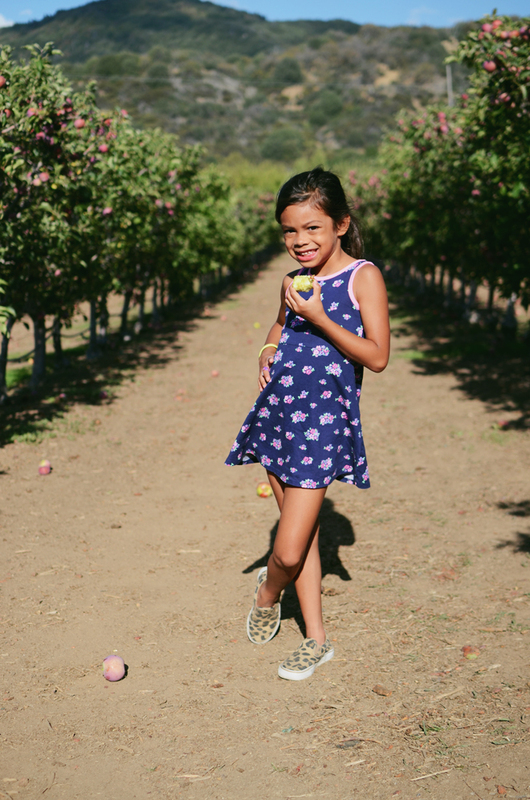 If your local, or visiting Southern California, spend an afternoon apple picking in small town, Julian, about an hour east of San Diego, and two hours south of Riverside. 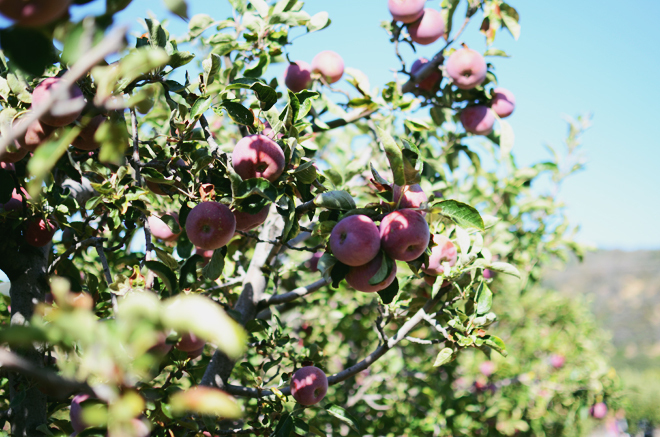 There are plenty of apple orchards for apple picking, but you will want to make sure and check their sites online or call ahead because some might already be out of apples and closed for the season. 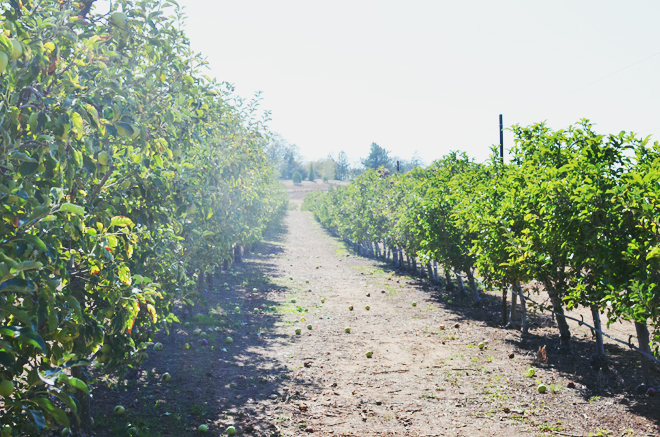 We went to Volcan Valley Apple Farm because they are an organic apple farm and their apple trees are all trellised, so Ben wanted to check that out. They charge $10 for a 5lb. bag. 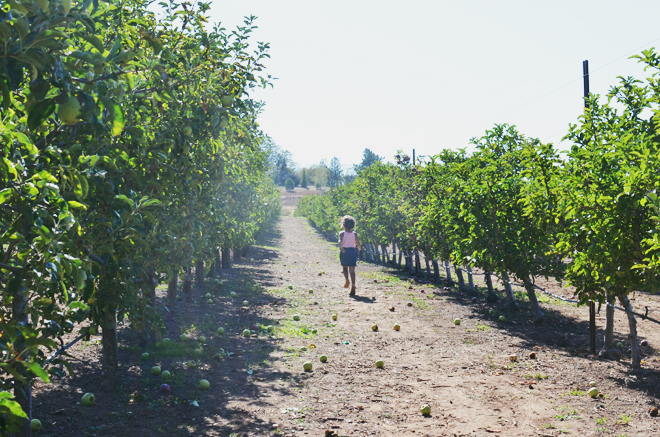 Once the girls set foot in the orchard, they just wanted to take off running. We found an aisle that was free from other pickers and we let them run wild. Soul loved it the most and kept running up and down the aisles. 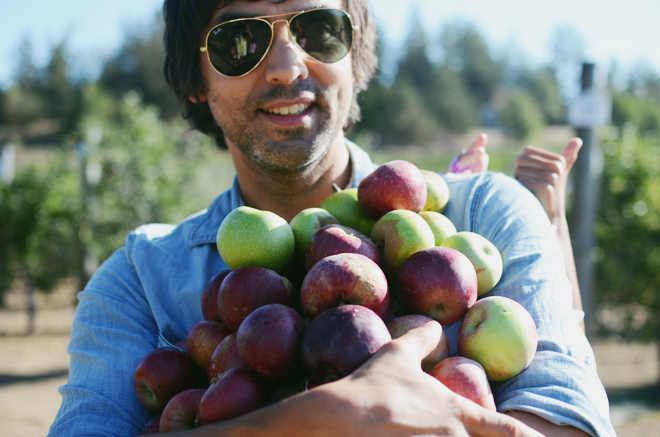 The workers at the farm told us we were free to eat apples as we pick, and boy we made sure to get our fill. I think each of us ate about 4 apples! The kids were loving that so much. You can see True above doing her best impression of Apple Jack (one of the My Little Ponies). The varieties found at this particular orchid were Pippin, Empire, Jonathan, and Golden Delicious. They had other varieties (Gravensteins) that weren’t available yet, but they should be now, and some other varieties (Gala and Fuji) were already done for the season. 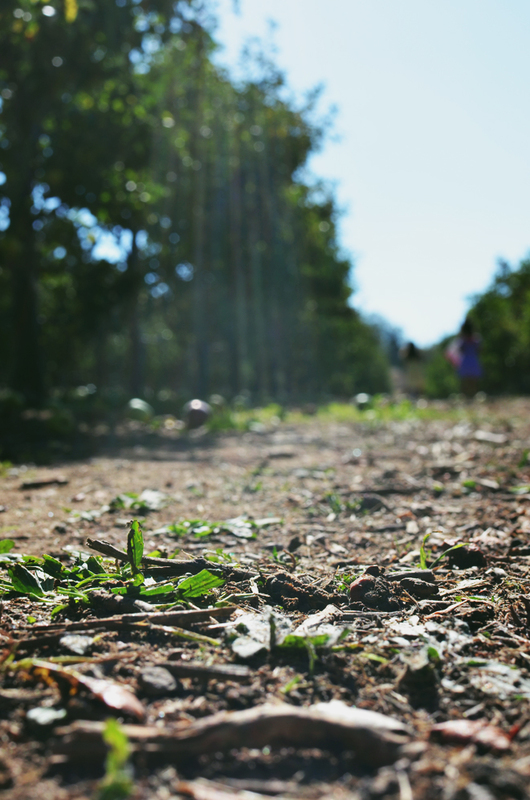 We picked a lot of apples. A LOT! 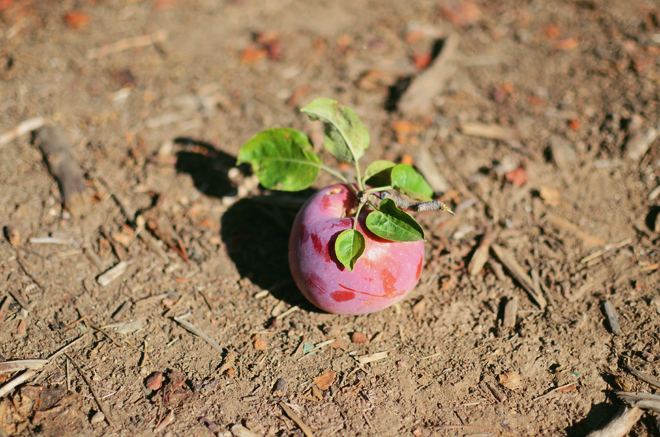 Another wonderful thing about this particular apple farm is that since they have dwarf apple trees, there are plenty of low branches for the little ones to pick from. Glow was initially hogging the apple bag, but once it got too heavy for her to carry, she gladly passed it off to us. People were in awe of how many apples we picked! I think we came home with 15 lbs. We put them in the fridge and they have all kept pretty well. It’s been two weeks, and they all still taste absolutely delicious. 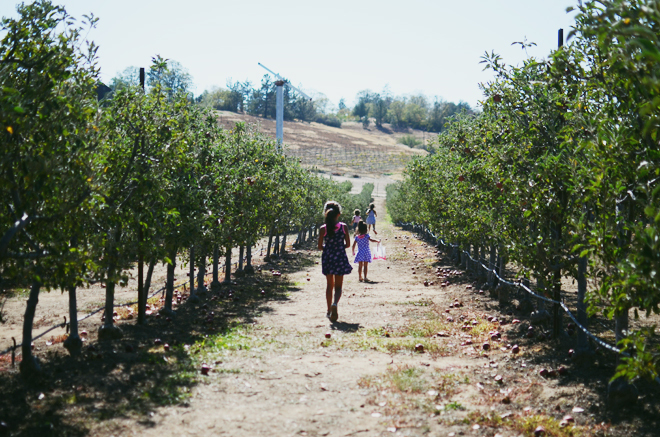 After we went apple picking, we went into town and strolled Main Street for a bit. I really wanted to go to the Julian Pie Company because of the reviews on yelp, but they had already closed for the day. I read that their cinnamon ice cream is amazing, so we may have to make another trip back one day. We did end up getting a slice of apple crumb pie from Mom’s Pies (they had pretty good reviews on yelp too), with a side of cinnamon ice cream. Here’s a tip, the pie shops on Main Street have really long lines, but if you go to the ones on the way out of town, you’ll likely avoid the lines. I would have loved to check out more of the historical sites in Julian, but we were running out of time. This means we will just have to go back again someday. So cute! 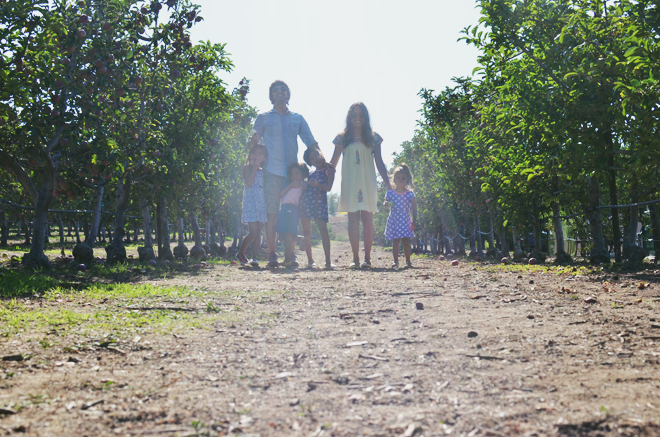 I wish we could go apple picking but living in South Florida, we just dont have apple trees here! Where is your cute dress from?? 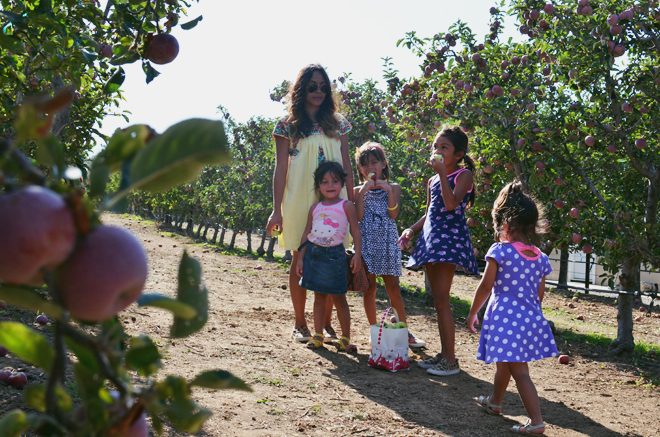 My husband and I got very into apple picking last year and also returned from the orchard with about 15 lbs once… And there’s only two of us! It is such a fun activity. I’d recommend making crockpot applesauce with your pickings – we just peeled and cubed a bunch of apples and added them to the slow cooker with a teeny bit of water. (Juice or cider would work too, but we didn’t want to add sugar.) Turn it on for a few hours (we’ve done it on both low and high depending on how much of a hurry we’re in) and when you come back, you pretty much just have to stir it up to break down any remaining chunks. Delicious and very healthy! We never even got to make applesauce because we devoured it all. Actually, we have about 10 left, but I’m sure it will be gone by the end of this week. So much fun! Beautiful pictures! 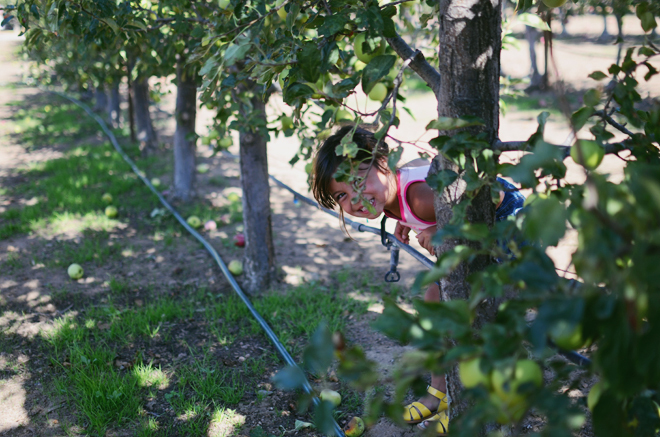 We have fond memories of apple orchards. 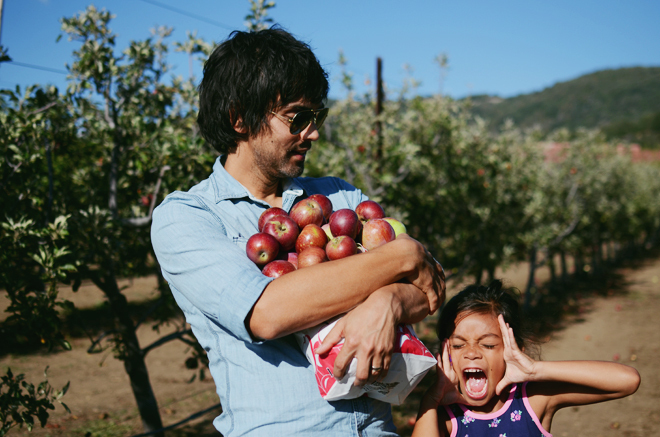 In fact, it’s how we got our oldest (our pickiest eater who inherited it from me) to eat apples. 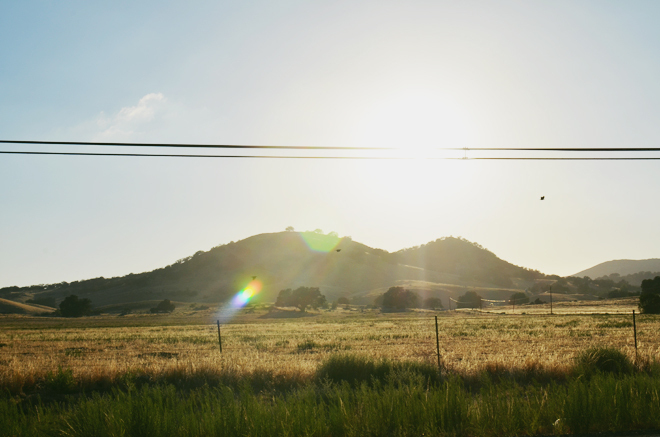 On a whim we decided one day to pack up our things and head over to Oak Glen for the day. 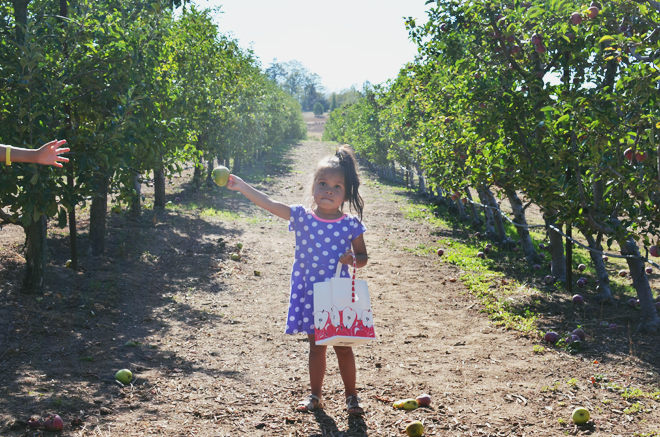 It was apple picking season so we said, Why not? As we were picking the owner sought us out to tell us we could eat any apples we fancy. Then he proceeded to show us. Yum! he exclaims. 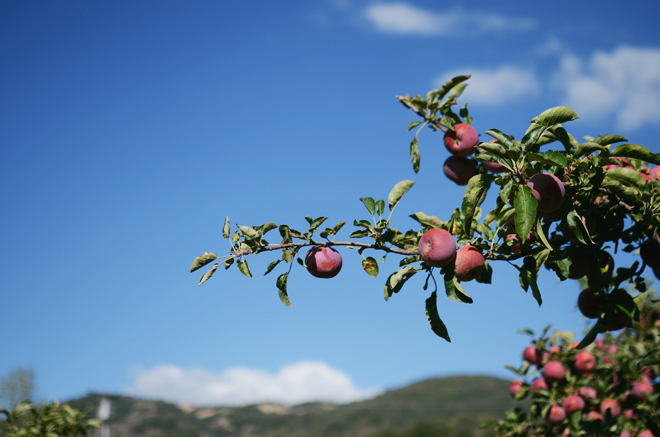 He plucks another apples, turns to our oldest and says, Here – you try. Obedient, compliant, but cautious – he takes it, examines it, then bites it. A little grin passes over his face. I think that is an awesome memory! Sometimes that’s all a kid needs to fall in love with something! its not far from us at all. just thought i’d let you know so next time you dont have to go so far but i would totally love to check out the julian farm too.i been there but not to pick apples. my dad likes to take us for their amazing apple pie and the cute town to stroll. anywho i havent been to willowbrook before but i will let you know soon. if you been there, do you recommend it? Haven’t been to willow brook, but I’ve been seeing pictures from there popping up on instagram. I really like Julian for their little old town area. It’s a drive, but I think so fun and worth it! love these photos! look like so much fun!